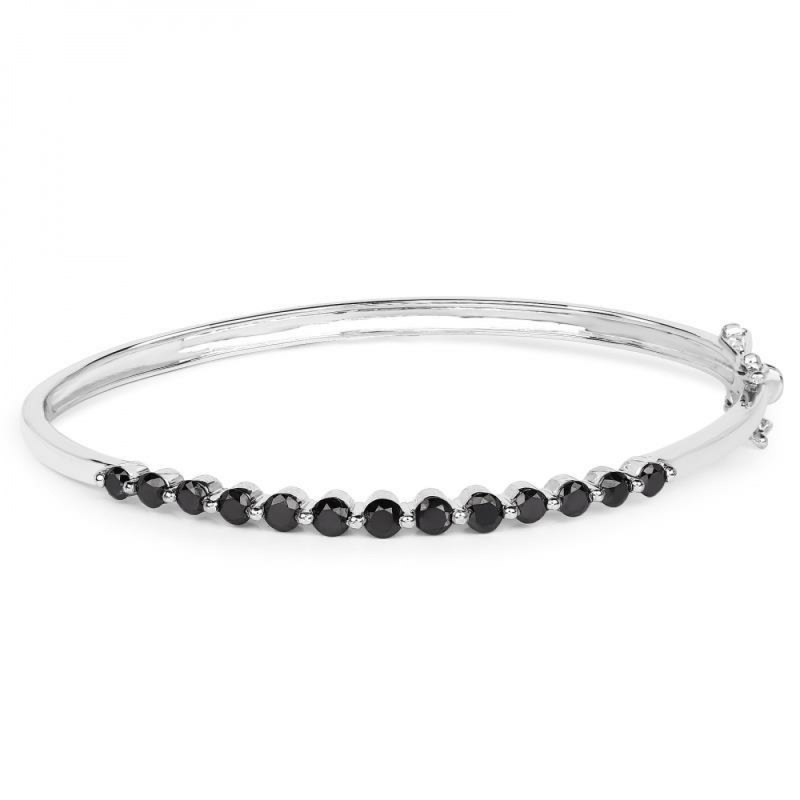 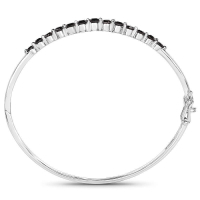 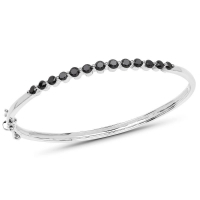 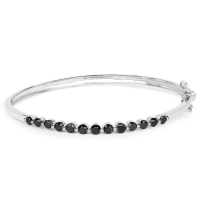 This is a 1.96 Carat Genuine Black Diamond .925 Sterling Silver Bangle measuring 7.50 inches in length and a total gross weight of 9.05 (gm). 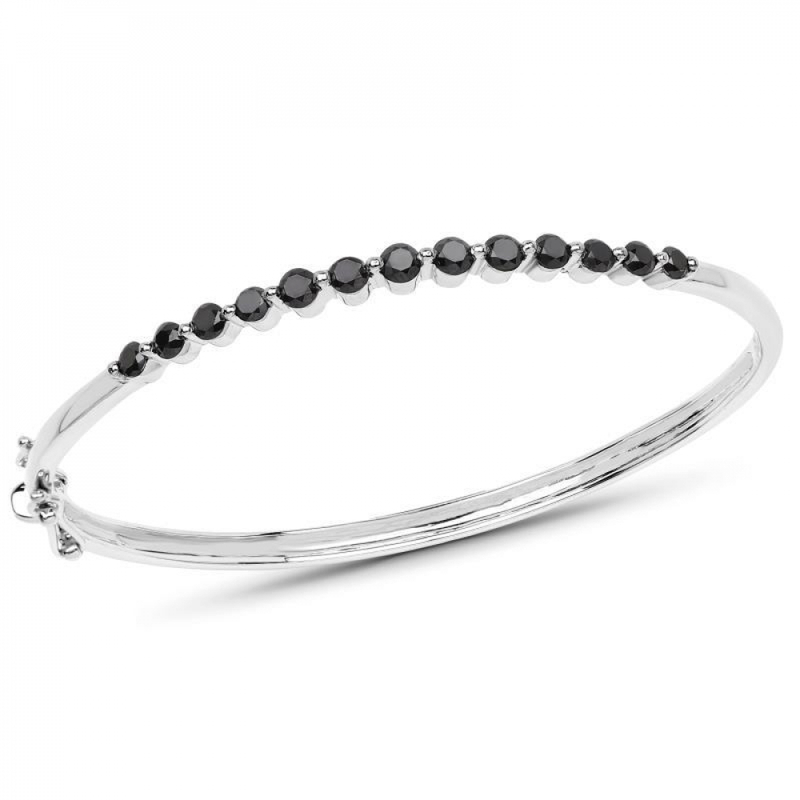 Diamond Black, Round/3.30-3.40mm 5/0.88 ctw & Diamond Black, Round/3.10-3.20mm 4/0.59 ctw & Diamond Black, Round/2.90-3.10mm 4/0.50 ctw. 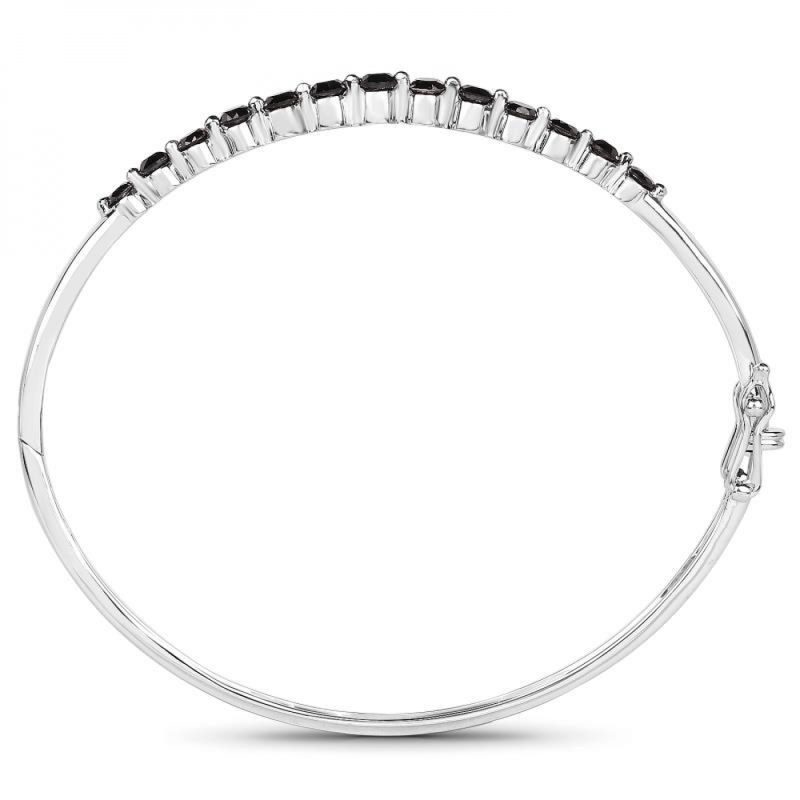 .925 Sterling Silver weighing 8.658 (gm).